Sized for adults. 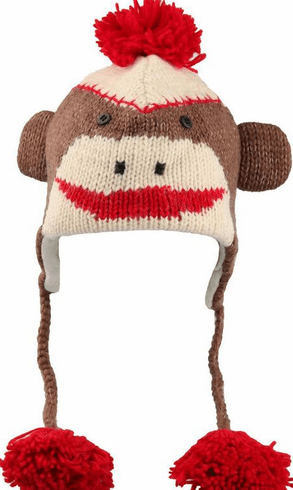 Sock Monkey Hat is hand knit of 100% finely carded wool in Nepal in the Pilot Trooper Hat style to keep you warm this winter. One size fits all Adults in this wool stretchy knit hat. Comes with a red pom pom on top.